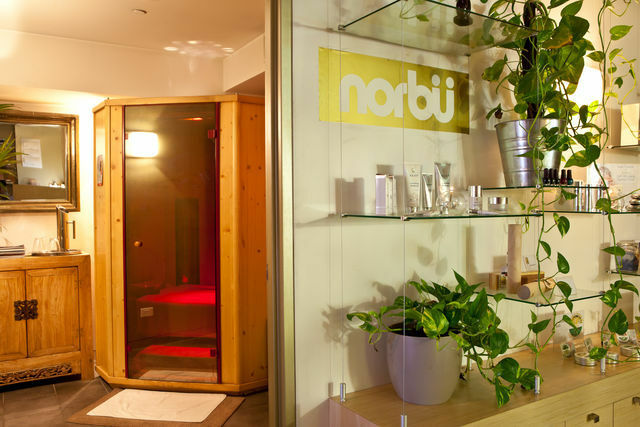 Norbü is passionate about skincare. 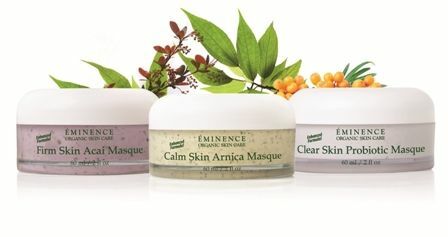 Norbu chooses Eminence Organics, Dr Spiller, Emergin C and Aspect to address all different people's needs. We also have some brilliant state of the art Hi Tech facial treatments designed to repair skin in various ways to stimulate collagen and minimise pigmentation and balance troubled skin. Dr Spiller - Cosmeceutical. German. Make use of our ‘add ons’ for extra indulgence. LED - Light therapy stimulates collagen and elastin, also used for pigmentation and rosaeca. 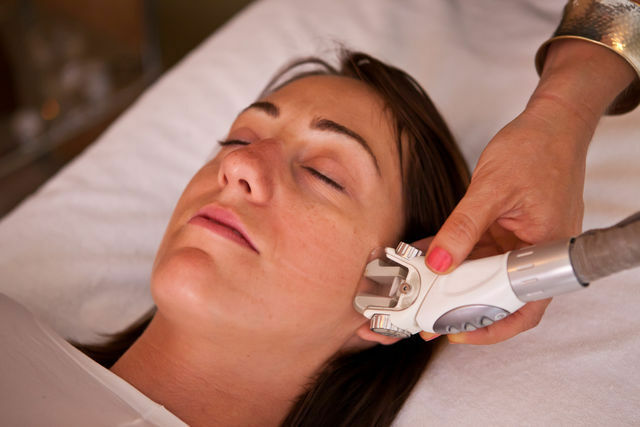 Endermologie face - Manually stimulates collagen and hyralonic acid, lymphatic drainage and smooths lines. 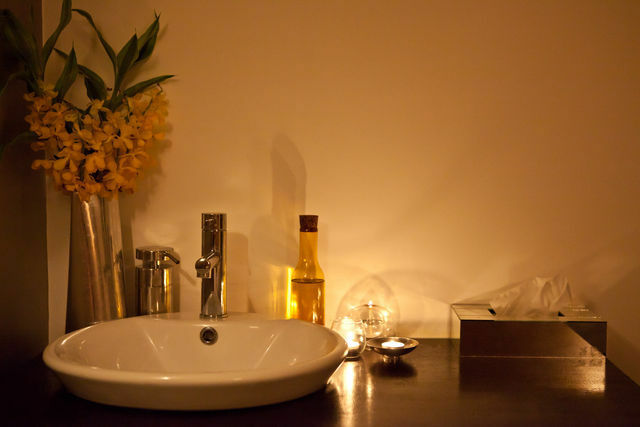 Infra red detox box - stimulates a deep sweat to open the pores and ensure a deep cleanse. Skin needling - Collagen induction therapy. The Dermapen has tiny needles to create multiple pin holes in the epidermis and dermis. The action causes localised skin trauma, Designed to bring Collegen to the area to heal itself. 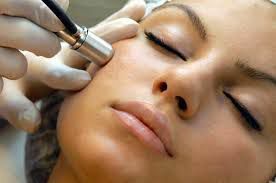 Collagen induction therapy is great for anti ageing, acne scarring, large pores, pigmentation and skin rejuvenation. Multiple sessions are requires a month apart. Reveal a plumped and smoothed skin with the help of this exfoliating and pore minimising treat. A yummy fruit cocktail of blueberries, raspberries and blackberries, infuses the skin with antioxidants and tightens tissue. Express hydration boost for all skin types) Gently buff and reawaken dry, thirsty skin with fresh strawberries and rhubarb for a bright and radiant complexion, before replenishing hydration levels with a masque of hyaluronic acid derived from the white marshmallow plant. 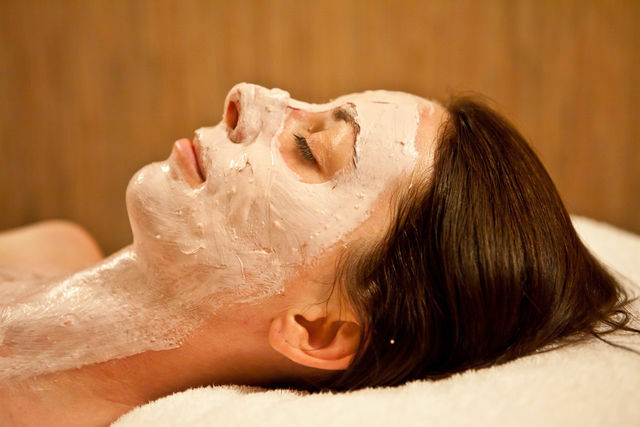 This juicy express facial will soften and smooth your Sweet Cheeks for a refreshed, youthful glow. Dehydrated, aging, dry, sun damaged skin types. Discover instant results and lasting beauty with exotic coconut, bamboo and neroli flowers, plus two revolutionary, clinically proven age correcting ingredients - natural retinol alternative and PhytoCellTec-( swisse apple stem cells). Skin feels tightened in as little as 5 minutes. This divine facial also includes a very light pineapple peel to give a gentle exfoliation to prepare the skin for its hydration load. Specially designed for people in their 20's -30's, youth shield the skin protects against the early signs of ageing with it's powerful anti oxidant complex It is designed to balance and protect the skin from free radicals -the leading cause of fine lines and wrinkles. The products in this anti oxidant rich formula minimise inflammation, repair sun damage and moisturise whilst keeping breakouts at bay. The freshness kick for your skin. The well known corrective peel for new skin in 5 days. Great for acne scarring, pigmentation and anti - ageing. This price includes take home products and a return visit to Norbu to assist peeling process. Herbal AKTIV Peel is applied in the salon by your accredited skin therapist. is booked 5 days after initial peel. Beautiful combinations of fruits, nuts and vegetables are organically grown and blended to achieve amazing results. Your senses are indulged as these delicious ingredients are tailored to meet your individual skincare needs. It's a known fact that our skin is the largest organ of the body and is responsible for regulating your external and internal balances. It maintains our body temperature, regulates our body's fluid balance, and is the first line of defence against external enemies, so you can imagine the damage caused by applying harmful elements to your skin! A survey carried out by the US National Institute of Occupational Safety and Health found that 884 chemicals used in personal care products and cosmetics were toxic and estimates that women absorb up to 2 kilograms of chemicals through toiletries and cosmetics alone over the course of a year. Choosing organic ingredients ensures that there are no chemicals added, and Biodynamic® farming takes it a step further still. By avoiding all chemical fertilizers and pesticides, and using only natural medicinal herbs and mineral composts to enhance the soil and ignite powerful growth forces in the plants from roots to tips, Biodynamic® ingredients are the closest to nature as they can get. These ingredients are then lovingly hand-picked and hand-mixed into skin care preparations that will calm even the most sensitive and fragile skins; reviving skins that show signs of aging or hormonal imbalances. Doctors in Hungary have been prescribing Biodynamic® ingredients for years to help combat ailments and disease and to ensure patients lead the healthiest life possible. The results are clear to see; our organic and Biodynamic® products help skin be at its best and are brimming with whole fruit pulps, hydrators and hand-harvested herbs, and have been developed in collaboration with doctors, researchers, farmers and estheticians to ensure that they deliver the ultimate purity and nutrition for your skin. Organic skin care is rooted in a holistic approach to farming and production. Healthy skin is a reflection of what you feed your body, inside and out. 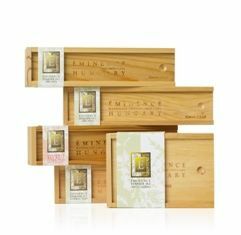 Éminence believes that a balance can be met between natural and effective skin care because Mother Nature has given us the tools to create something special. Skin looks and feels better when using organic products, ingredients are active and effective, and really do make a difference. Feeding your skin with natural and organic ingredients means a healthier you. Aspect contains chirally corrected active ingredients in the highest concentrations, is sourced from the world's most advanced pharmaceutical and bio-technology companies, and uses, where possible, certified organic ingredients free of pesticides, parabens, perfumes and dyes. In-clinic performance evaluation of each formula has been carried out to ensure efficacy. Aspect contains a complete home care and chemical peel component. The Aspect range has been developed for men and women who want an effective skin care regime. Lactic acid peels are are alpha hydroxy acids (AHA). Derived from milk, they are very mild chemical peels with little to no downtime. Because lactic acid is a natural human metabolite, there is less chance of an allergic reaction with this type of peel. Lactic peels are a good choice for first-time peel users or for those with sensitive skin. However, dry or oily skin types can also use this peel and get good results. Lactic acid is especially good to use for mature skin. Keep reading to learn more about how lactic acid peels can repair damaged skin and what to expect when you get one of these peels. What do Lactic Acid Peels Do? Overall, lactic acid peels are a great way to treat common skin concerns. How great a lactic acid peel will be at fixing a skin problem will depend on a number of factors though. These include how your skin reacts, the strength of the peel (lactic acid peels usually range from 20-70%), the number of peels you get (you will usually need more than one to get your desired skin results), and how well you take care of your skin post-peel. releasing your inner and outer radiance.